Charisma — for Coercion or Collaboration? During a recent conversation (thanks Deri and David), I discovered the elusive nature underpinning the compelling attractiveness of charisma. Interestingly, the three of us agreed its presence was recognizable within seconds of meeting someone. However, after researching some standard definitions on the topic (see below), it is no wonder we puzzled over whether a universal set of concrete practices exist to describe it. I can’t disagree with either list, but I left wondering why authenticity hadn’t made the grade. Moreover, what most intrigues me about charisma is its power to manipulate and coerce or to collaborate and co-create. This thought brings me back to my earlier statement … “we all agreed its presence was recognizable within seconds of meeting someone.” If this is truly the case, then what remains for those of us experiencing charismatic charm is to decide if we will be attracted and swayed in ways that compromise our integrity. In order to make this decision, we need to first understand our own moral compass. Do we favour coercion or collaboration? 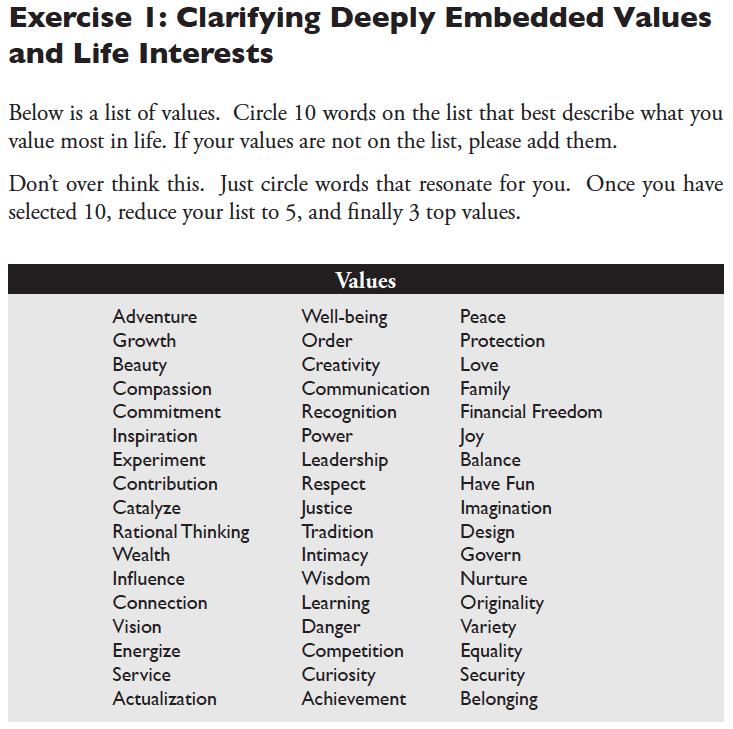 Because charisma is rooted in values and feelings, an intimate understanding of what motivates us provides the necessary discernment to choose actions aligned with what we value. In my own case, my primary drivers or values are peace, love and joy. Thus, when I find myself experiencing charismatic behaviour attempting to influence my choices, I ask myself three questions — Does this direction activate inner and outer harmony? Is it a loving action for all involved? Will it increase our joy in living? If the answer is no to any of my three values, then the action is not right for me. The next time charismatic charm crosses your path and you are pondering a choice, try the same experiment. Below is a value clarification tool I developed to help with your decision process. PrevPreviousBe Happy or Be Normal?